The 2020 Census is announcing opportunities for paid advertising/media placements. Team Y&R and its media partners will be solely responsible for all media planning and buying for the 2020 Census Paid Media Campaign. The campaign will target audiences in English and 12 non-English languages. More information is available in this 2020 Census Paid Media Campaign Fact Sheet. Note: The Fact Sheet identifies the proposals deadline as May 17, 2019. A subsequent announcement from Team Y&R extends the proposals deadline to May 24. This entry was posted in Sharing and tagged 2020 Census, 2020 Census Info Sheets. This entry was posted in SDC Products and tagged 2020 Census, 2020 Census Info Sheets, Educational video. 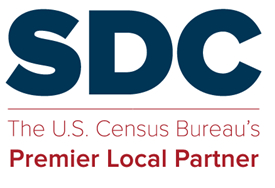 This entry was posted in SDC Products and tagged 2020 Census, 2020 Census Info Sheets, 2020 Census Partnership and Complete Count Comm, 2020 Census State or SDC websites.